Thinking About Becoming A Nurse Midwife? It's A Calling, Not Just A Job. Midwifery is my calling. When you follow your calling, you never go to work – your life is your work. Midwifery is an ancient profession that represents centuries of caring for women before, during and after the labor and delivery of a child. Some of the earliest mentions of midwives are found in the Biblical book of Exodus and on bas-reliefs in Egyptian temples at Luxor. In 1925, Mary Breckinridge first introduced nurse midwives to the United States, primarily to assist in the Frontier Nursing Services to help families in remote areas. Today, midwifery is more than simply a career – it’s a calling, and these skilled professionals receive extensive medical training and certification by the North American Registry of Midwives. We’re proud to have an amazing, dedicated team of midwives to not only help guide our pregnant patients, but to also assist every woman at every stage of life. We have the only midwives in Chapel Hill who work with private practice physicians. Regional Midwifery is a service provided in conjunction with our sister practice, Durham Women’s Clinic, to provide comprehensive midwifery services to our patients. We provide 24/7/365 on-call services at Duke Regional Hospital. Our expert midwives work with you in preparing your birthing plan, which may involve natural childbirth or using a birthing stool. They also work with women through low-risk pregnancy, labor and birth. We’d like to take a moment to showcase our midwives and give you some information on why they chose the profession. These women are motivated and inspired through empowering women to live healthier lives. For Amy Ellis Dixon, becoming a midwife was the next step in an already rewarding career in women’s health. After many years of being a bedside labor nurse, I knew I wanted to further my career in women’s health. Becoming a nurse midwife allowed me to continue being a part of one of the most special moments during a family’s life, all while being able to provide continuity of care outside of the hospital! Stacie Diette, like Amy, went into the field after being a nurse. I became a midwife after being a labor and delivery nurse for many years. I loved being a part of such a special time in a family’s life. I then realized I wanted to be a part of more than just their delivery. I wanted to be a part of their lives in general. I want to support women long before, during, and long after they have babies. 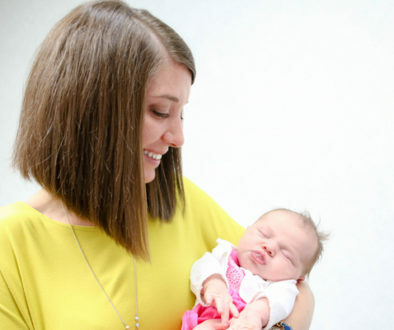 For Leigh Ann Joel, the desire to help women during labor began when she was very young. I knew when I was 9 years old that I wanted to deliver babies when I grew up. I believe being a midwife is much more than a career—it’s a calling. 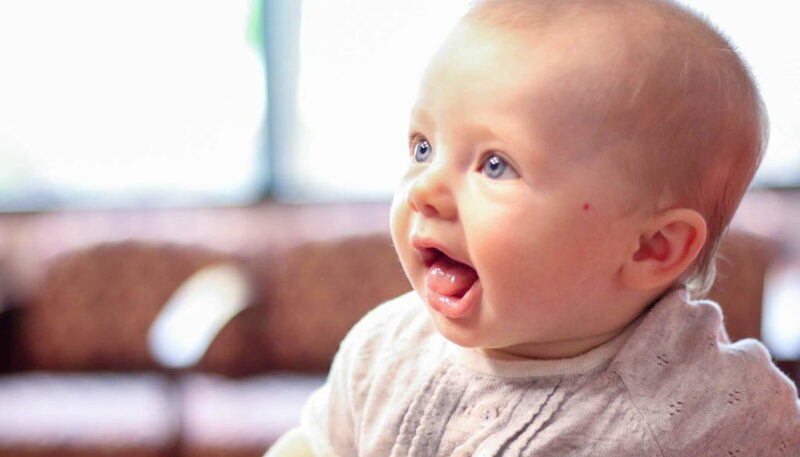 Mary Ellen Lowry didn’t plan on becoming a midwife, but when a midwife helped her with the birth of her first child, it had a lasting impact on her life. The experience was so delightful that it was a turning point in my career. I believe midwifery empowers women to take a leading role in their health care choices and their place in the world. Cara Wolf had also worked as a labor and delivery nurse, and she found midwifery provided another facet of comprehensive, compassionate care for women. I worked for many years as a labor and delivery nurse in Anchorage, Alaska. It was during this time I learned and witnessed how amazing nurse midwives are in caring for women during labor. It became my passion to learn and grow as a provider so that more women would have the opportunity to benefit from midwifery care. I feel strongly that all women deserve the option for midwifery care both for obstetrics and gynecological care. There are several nurse midwife programs across North Carolina. You can learn more about these programs and the educational training it takes to become a midwife at the N.C. Board of Nursing. Sometimes, there is a misconception that midwives only concentrate on helping women who are pregnant. While aiding in labor and delivery is a large part of their role, midwives are able to provide care for women of all ages, whether you are having your first Pap smear or entering menopause. For more information, schedule an appointment with one of our wonderful nurse midwives. We are extremely fortunate to have them as a vital part of our health care team! 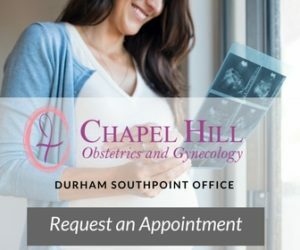 For more than 40 years, Chapel Hill OBGYN has served women in the Triangle area, sharing the joy of little miracles and supporting them during challenges. Our board-certified physicians and certified nurse midwives bring together the personal experience and convenience of a private practice with the state-of-the-art resources found at larger organizations. To schedule an appointment, please contact us for more information. What’s the Difference Between PMS and PMDD? What Training is Required to be a Certified Nurse Midwife?